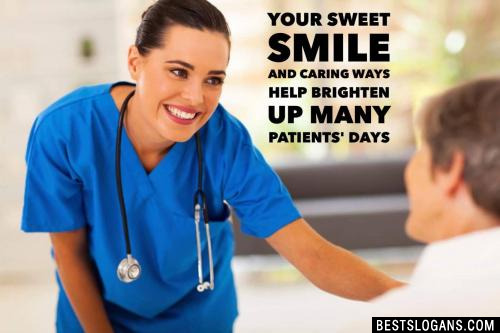 New & inspirational nursing slogans written by nurses, including motivational nurse quotes & sayings. The Nursing profession has a very rich history. Numerous personalities, significant events and important statistics fill up the timeline of this great profession. Here are some nursing facts you may wish to bring along for inspiration. The first Nursing school was established in India in 250 BC. The first nurse in the New World was Friar Juan de Mena. He looked after those who were ill and was unfortunately deceived and killed. Nursing is the fastest-growing occupation in the US. The first hospital training ground for nurses was established in the Institute of Protestant. 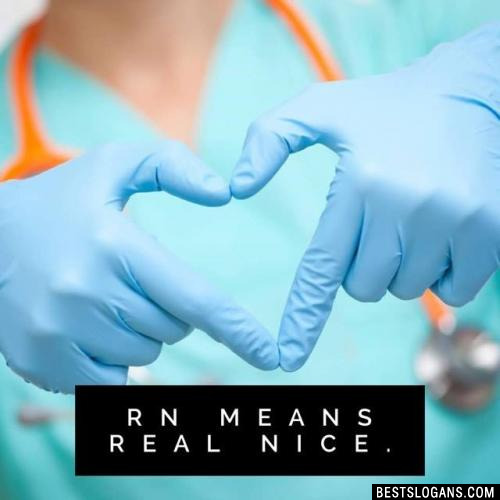 Most people do not appreciate the real nature of the responsibilities of a nurse. In their eyes, nurses are those who merely administers a shot at the hospital. Others view them as doctors' assistants. Moreover, the media also projects a different image of what they really do. 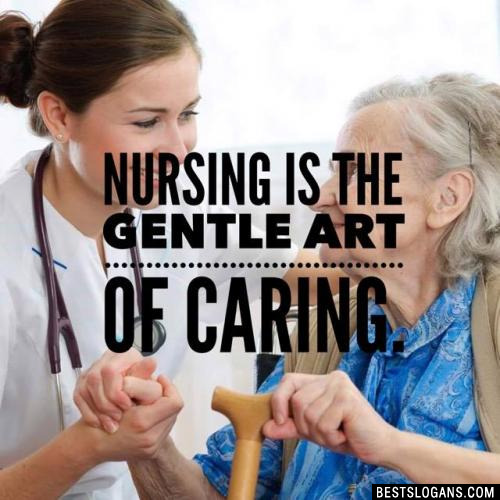 It is worth noting that nurses play various roles concurrently depending on the unique needs of a patient at the time. 1 Where the future begins today. 2 Nurses can take the pressure. 3 The most important practical lesson than can be given to nurses is to teach them what to observe. 5 Nursing would be a dream job if there were no doctors. 7 Nurses give intensive care. 8 Nurses can really take the pressure. 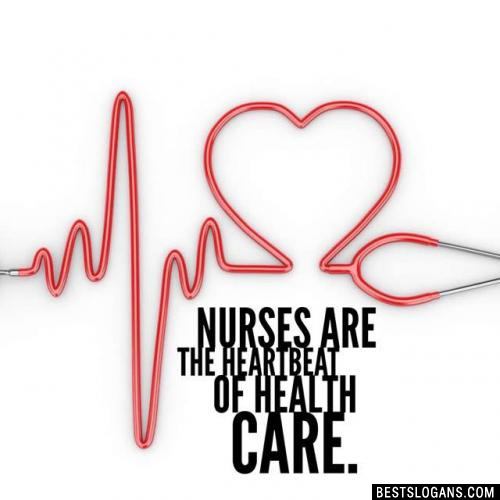 Nurses are the heartbeat of health care. 10 Nurses are the cure all. 11 Nurses are patient people. 12 ICU Nurses... wiping butts and saving lives. 14 After two days in the hospital, I took a turn for the nurse. 15 A nurse will always give us hope, an angel with a stethoscope. 16 A nurse is compassion in scrubs. 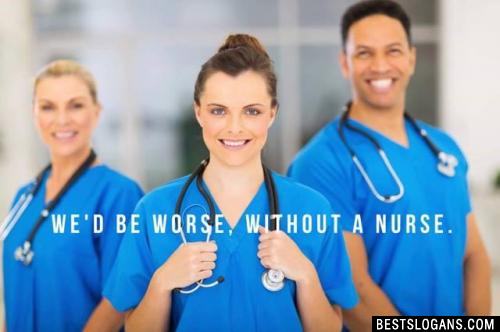 We'd be worse, without a nurse. 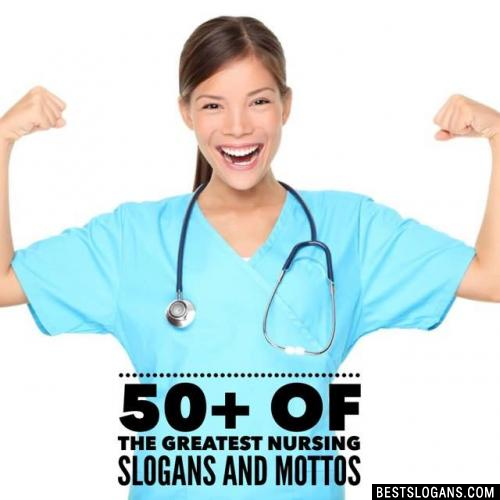 Can you think of a good Nursing Slogans we're missing? Or come up with a clever one of your own. Please share below.